A man who publishes his Works in a Volume, has an infinite Advantage over one who communicates his Writings to the World in loose Tracts and single pieces. Joseph Addison, The Spectator, No. 124. 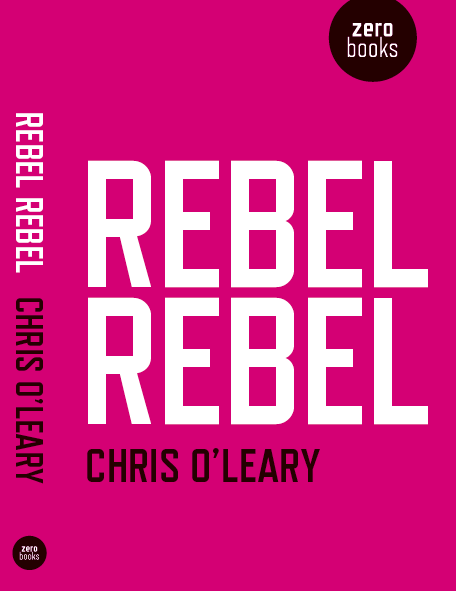 Today’s the day: Rebel Rebel is available everywhere (well, in theory). You can buy it via on-line vendors, including Amazon and Book Depository. The e-book should be up in a day or so. There will be some promotions in the next few months: Books Etc. is currently running a discount until May. For UK readers: this £16 sale price is about as low as I’ve seen, promo-wise. And as a fan of bookstores, I’d love it if you asked your local shop to get a few copies. Above is my local bookstore, White Square Books. In the UK, Foyles and Waterstones should carry it, but it would be great to have it in smaller shops as well. I’ve been hyping the book for some time now: see the book page for updates, the talks page for extensive radio/podcast interviews and the press page for just shameless self-promotion. Thanks for your patience. The “regular” blog will resume next week, with a fun set of entries, featuring Scarlett Johansson, Arcade Fire and little fat men with pug-nosed faces. Those who have bought the book, or who are considering doing so, thank you for your support. It means more than you can imagine. Some people have even taken shots of their copies and put them on various social media. The idea that someone thinks enough of your writing that they took a photo of the thing is beyond humbling. I’ve little left to say about the book, which took three-plus years to write, except that I hope you enjoy it. The Addison quote above is a feint, as in the following sentence he moves to ridicule “bulky Volumes” for which “the most severe Reader makes Allowances for many Rests and Nodding-places…a great Book is a great Evil.” Writing his triweekly newspaper essays, Addison was essentially an 18th Century blogger. For his ilk, there was no room for padding or preambles. “We must immediately fall into our Subject and treat every Part of it in a lively Manner, or our Papers are thrown by as dull and insipid.” I hear you, Addison. Here was my challenge—how to take the little essays that I put up on the Internet and turn them into something that would justify people paying for a collection of them? Besides it being a vanity project, a tip-jar sort of thing? It helped that the first few months of the blog, esp. the pre-“Space Oddity” essays, were dashed out quickly, with little care. So my revision at first centered on improving those entries, shoring them up, adding more context: that sort of thing. There were other choices. I needed a more uniform writing style for the entries, which meant I had to gut and rewrite the weird one-offs like the personal narrative in “Changes” and the cut-up aesthetic disaster of the “Sweet Thing” entry. I looked for fresher, more varied quotes. I reduced the level of snark and glibness (fans of “Time” will rejoice), though you still get the occasional nose-tweak—the book’s far from reverent towards its subject. I tried to confine the music theory to a paragraph per entry and exile much of it to the end notes, as I know some people glaze over when they read that stuff. I think it turned out all right. Hope you do as well.